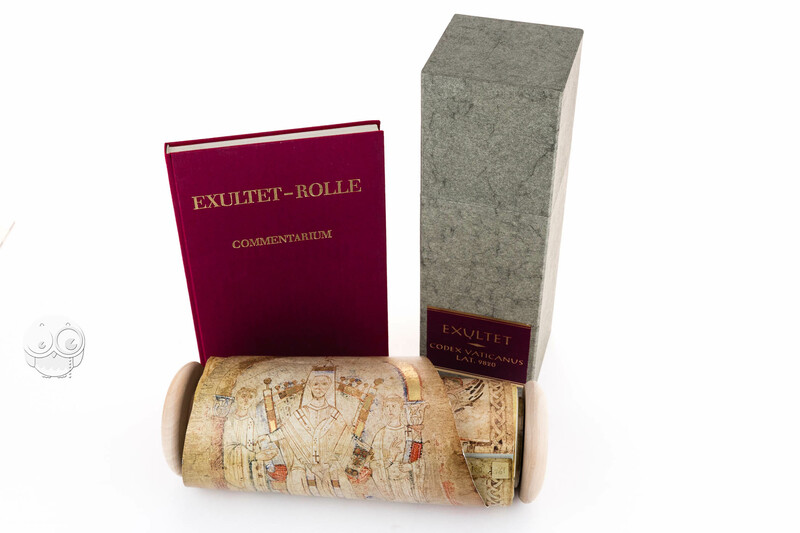 The Exultet Scroll is the oldest surviving example in the world and was created in Southern Italy, Benevento, a very important cultural centre of the Middle Ages. 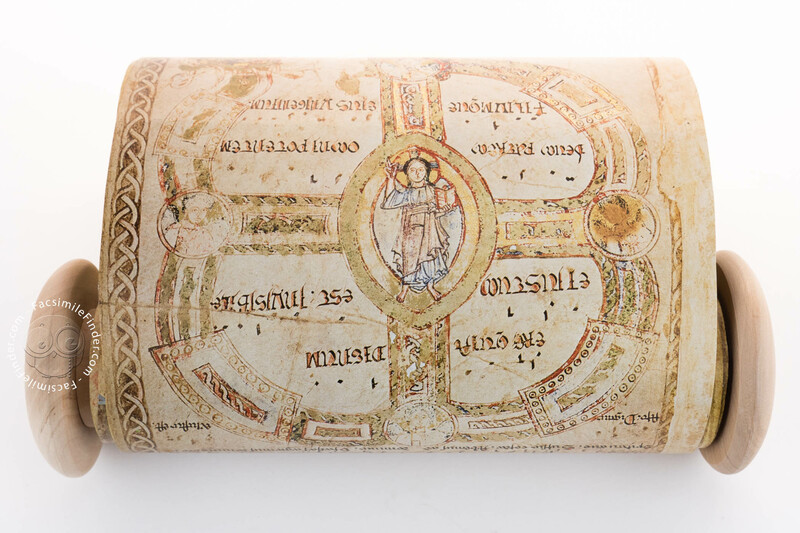 The scroll was used in the Easter liturgy and contains text, melody, and a picture cycle that illustrates the song. 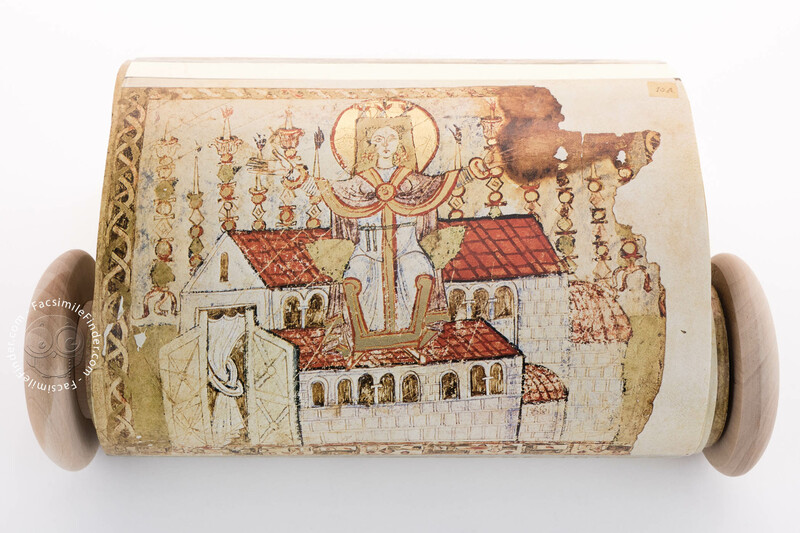 The highly stylistic illustrations attest to the creative and artistic skills of the Beneventan school. 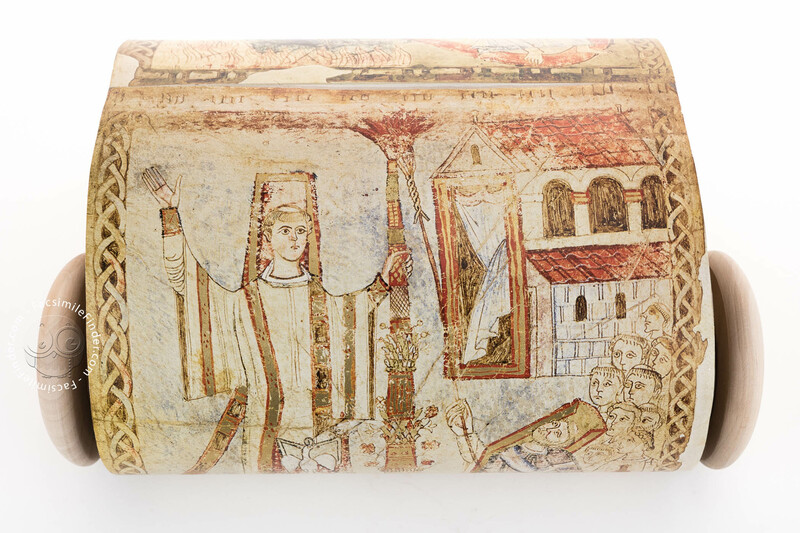 The artists of the school of Benevento exhibit an outstanding technique and creative eclecticism. 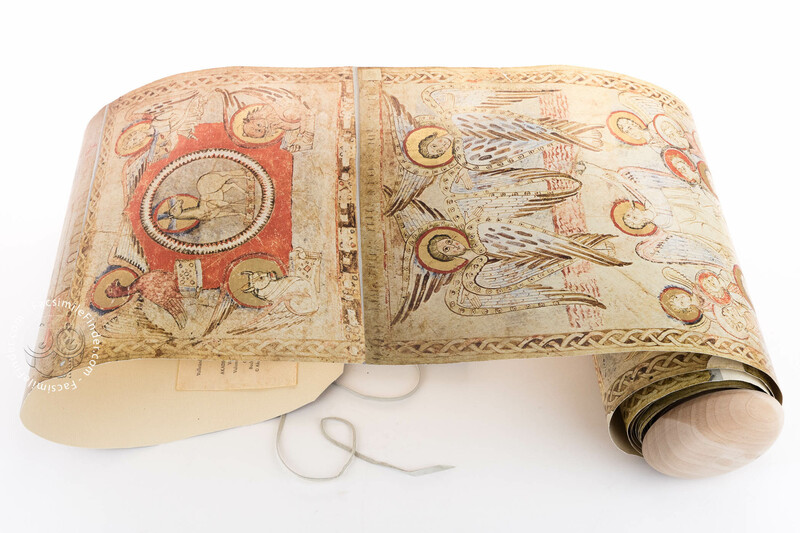 Indeed, they applied decorative and iconographic elements from classical antiquity, Christian sources, implementing eastern and western ornamental motives. Before the introduction of bound books, scrolls were the main literary support, at least until the 4th century when the codex slowly replaced it, with the exception of Christian literature in which the use of the codex was preferred right from the beginning. 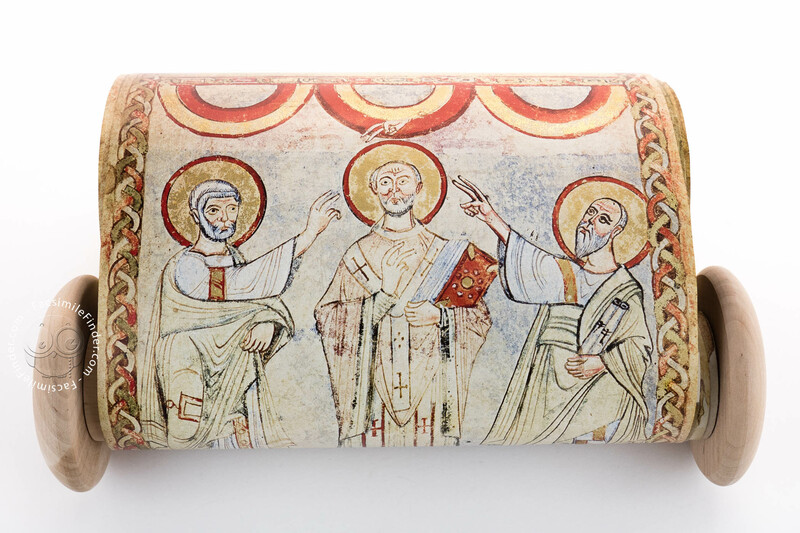 The roll, however, was not completely forgotten for it was commonly used in Byzantium and in the Greek church with both of which Benevento had strong contacts politically and culturally. 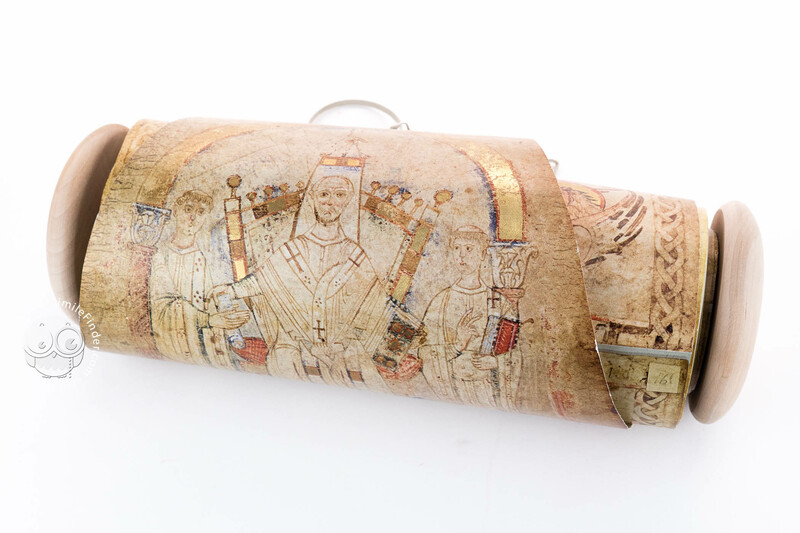 The content of the scroll features an exceptional decorative apparatus in the form of skillful and artistic pen drawings with several colors and shimmering gold. The illustrations show that the artist had great love for details and are surrounded by decorative frames, featuring motives such as arcades, palmettes, jewels and pearls, brightening the framing system. 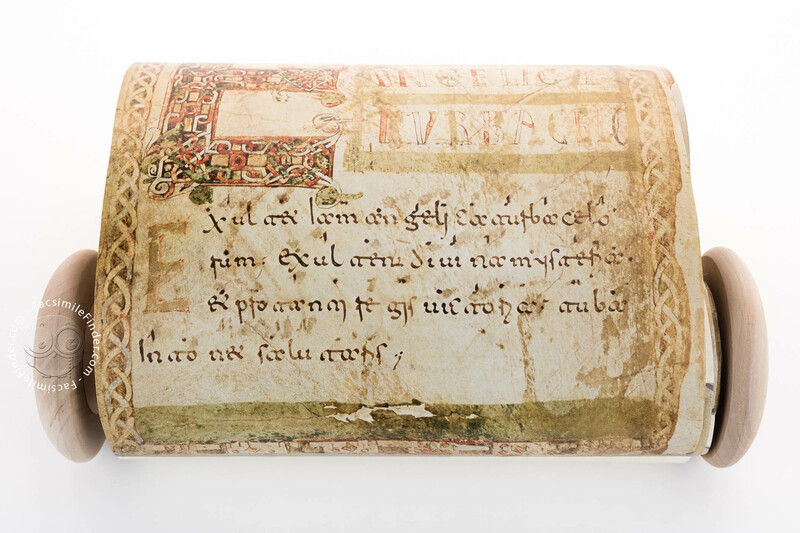 The text is accompanied by the melody in the form of Neume annotation conveniently located above each line of the solemn text, so as to lead the clerical figure in the course of the song of praise. 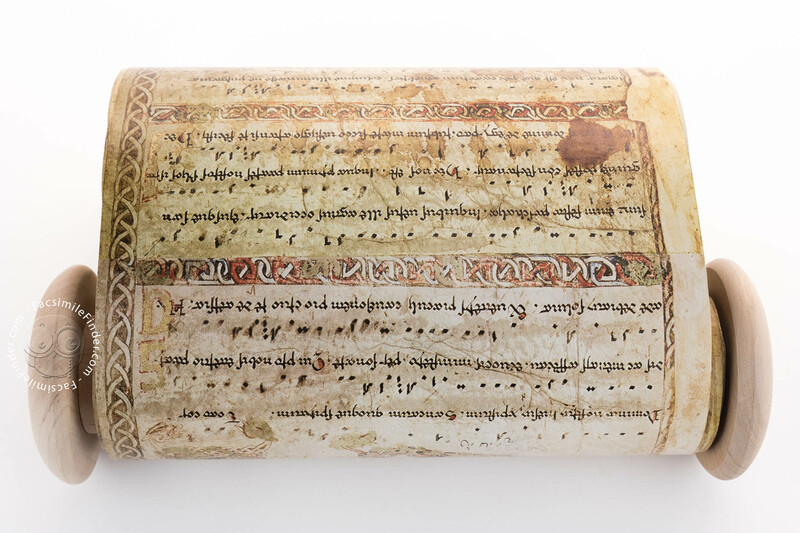 The images that accompany the text of the song in the Exultet Scroll are represented in terms of the symbols and metaphors belonging to the tradition of early Christendom. 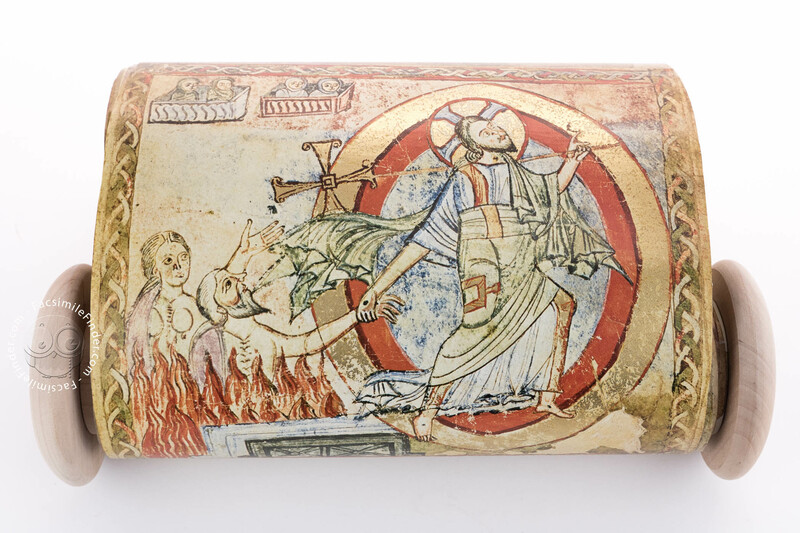 The iconographic apparatus features representations of pagan rites, such as the association between the resurrection of Christ and the advent of new life on earth by virtue of the pagan God of the Sun, sol. 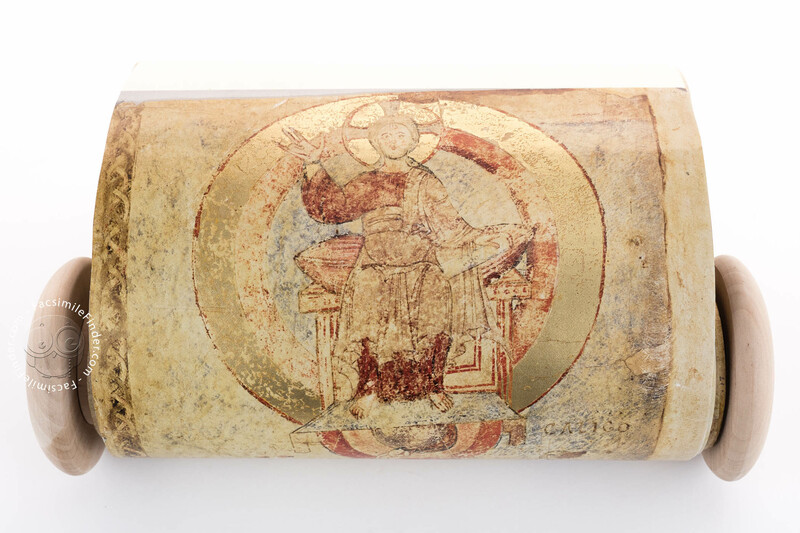 The scroll exhibits representations honoring how nature celebrated the resurrection of Jesus, who, so as to embody the light he brings in the world, is depicted in a shimmering halo, echoing the light of salvation. 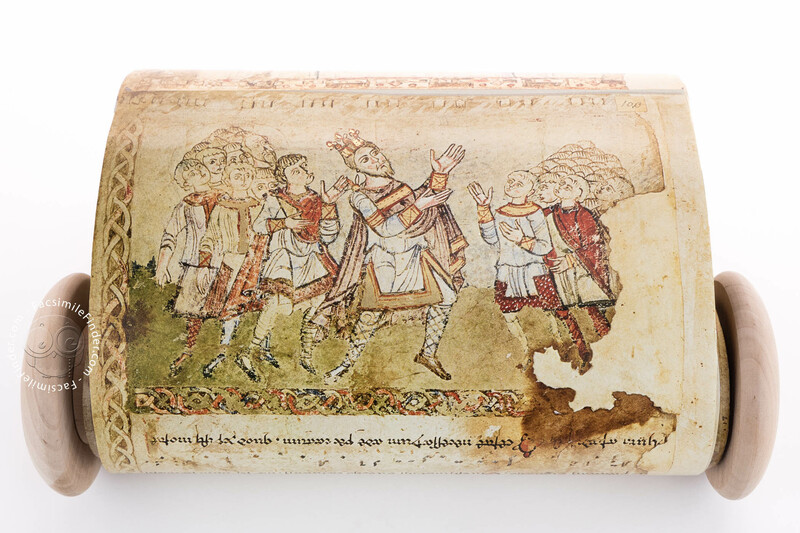 Part of the illustrations of the Exultet Scroll deal with the lively and detailed representation of liturgical proceedings, playing an important role for its documentary value. 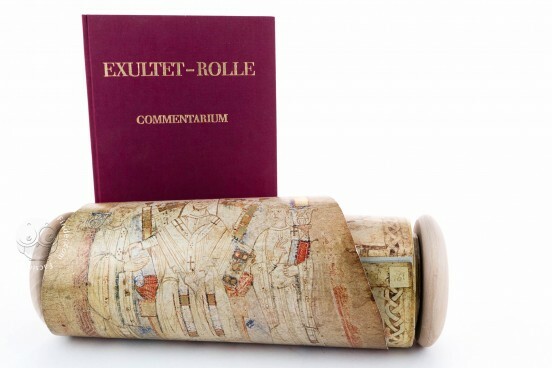 Full-size color reproduction of the entire original document, Exultet Roll: the facsimile attempts to replicate the look-and-feel and physical features of the original document; pages are trimmed according to the original format; the binding might not be consistent with the current document binding.